I can’t even tell you when my love of shoes all started. 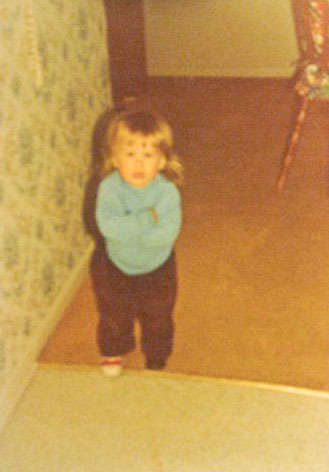 My younger sister unearthed this photo a while ago and likes to tell people that I always had shoes on my mind (apparently the description on the back of this photo is that I’m wearing one shoe and one boot and demanded to be let out of the house like that). I’ve always had a fascination with well-made shoes. Pretty, well-made shoes – that is. I would rarely let a pair of cheap shoes enter my closet just because they were trendy or cute… rather waiting to hold out and save for something that not only looked good, but fit and wore well, too. You really can wear heels all day long, without killing your feet, if they are made properly. The following are just a few of my lovelies. I couldn’t possibly post all of them here. That would be admitting something way more that I’m willing to do! But what I will tell you is that shoes are often something I look for when I’m travelling. I have a unique story to most of my shoes – when I bought them or where. What I was doing at the time. Or how they connect back to a favourite memory. And if you’re a fellow shoe lover – do be sure to share with me your favourite pair/brand/make/colour/style. I could talk shoes for hours. My first Fluevogs. 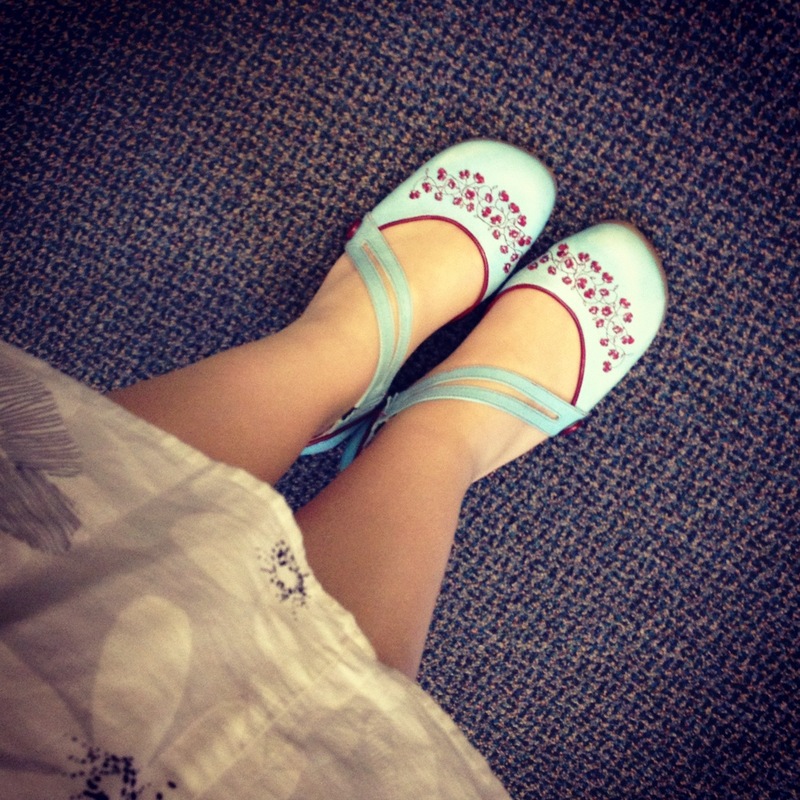 Oh how I love these turquoise and cherry red Fluevog Operetta Vairdots. Purchased by at one of my favourite stores – Eveline Street Clothing. The lovely Huda talked me into these and there was no turning back. These pink little beauties are GEOX low rise heels. I bought them in Stuttgart in 2010. 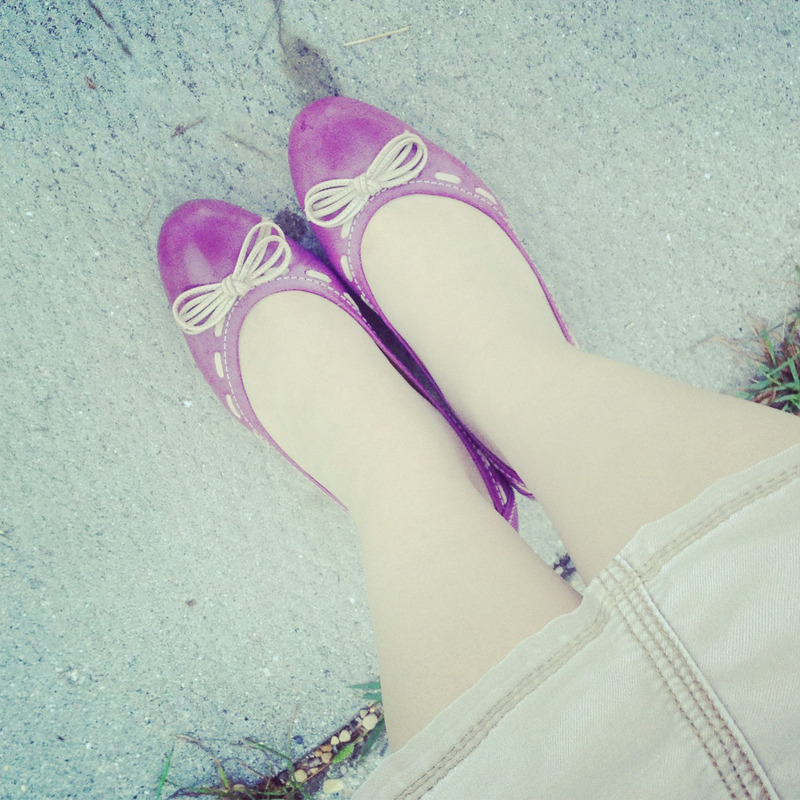 Me and a fellow colleague ran out to the market one day during a quick break and ogled all the pretty shoes. These were a steal of a deal for how well-made they are. I don’t even think they cost me $40 CDN. Fluevog Coffee Robustas in neutral. Bought online during a Fluevog sale. So perfect and pretty. The Fluevog Coffee Robustas…now that’s a shoe!!! Oh, I adore fluevogs! Sadly, now that I’ve retired I can no longer afford them. I also love Ms Mooze! hahaha, I know the Geox ones !